Volko chimney fans... Enervex chimney fan sizing chart. A competitively priced full service building supply...Online! Full service still exists, and here the premium is on service not on price. Wow!!! I found it at Volko...... and they made it easy to order. Determine the type of flue and measure the INSIDE measurement... use the chart below to convert square and rectangular to round. Measure the INSIDE ( side to side ) measurements of the clay liner. NOTE: Clay liners are "called" by their OUTSIDE measurements, the INSIDE measurements may vary depending on the manufacturer and location. EX. A 13x13 clay liner may only have an INSIDE measurement of 10" x 10"
Use of the following fan selection tables below to calculate the Enervex fan required to fully exhaust the fireplace opening and flue system. Note: The RED background indicates that the fan will most likely create some air-flow noise due to a high air velocity in the chimney. The BLUE background indicates the fan base will not cover the chimney opening and a special adapter must be used. Check that there are no more than 2x90° elbows and no more than 30’ of height. If there are more than 2x90° elbows, use a bigger fan. 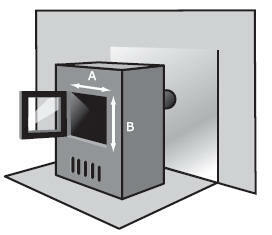 The "opening in square inches" refers to the fireplace or appliances over-all face opening. Multiply the length and width, in this case 18" x 24" = 432 square inches. Being less than 600, on the wood burning chart above, follow the column to the 8" flue size. Highlighted in orange, the chart shows an RS 9 to be the proper size chimney fan for this application. PDS (Proven Draft Switch) Safety control that senses a draft. A pressure sensor that ties into the log set or appliance controls and would shut the gas off if the draft became negative. ADC 100 A pre/post purge control that would extend the the fan cycle before and after gas is present for a fireplace or appliance. MFD Mechanical Fireplace Damper. Prevents excess heat from escaping through the chimney when the fireplace is not in use. Check that there are no more than 2x90° elbows and no more than 30’ of height. If there is more than 2x90° elbows, use a bigger fan. 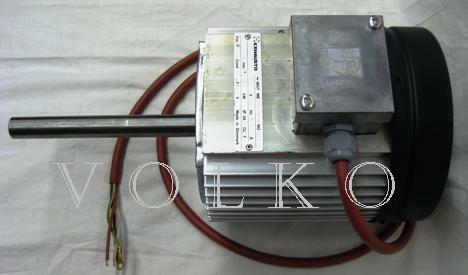 Need Exhausto fan parts... or a replacement motor for an Exhausto fan? Is it Exhausto Exodraft or Enervex? 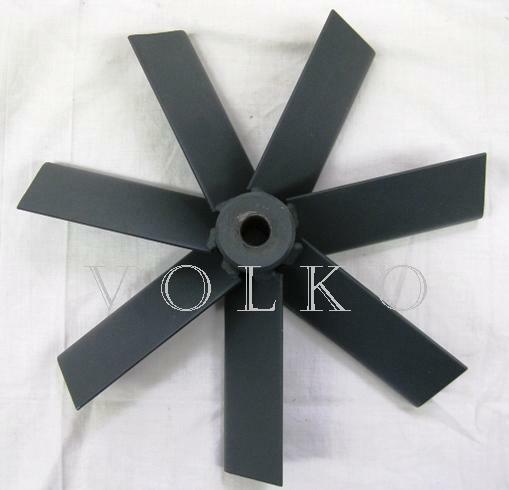 Prior to 2012 all fans and parts were identified as Exhausto, made in Denmark. Name has changed... parts are the same. Exhausto Part Identification. We only supply genuine Exhausto fan motors, fan blades and parts. Call 1 800 685 8263 or e-mail us with your specs. We will be happy to help you choose the correct size chimney fan for your application. Go to : Chimney Fan Warranties Go to : Downdraft & Wind Loading Explanations. Prices Volko Supply Co. Inc.